ASA Electronics offers a revolutionary RV Backup Camera called the WiSight digital wireless observation system. This observation system features a camera that installs into the running lights or other 12-volt circuit on the back of your truck, trailer or motorhome for easy installation. The monitor installs on your dash using the included mount and 12 volt accessory plug for power. The system is designed to help eliminate blind spots and provide vision at the rear of the vehicle. The innovative WiSight Technology digitally locks the Voyager camera to the monitor so it only communicates with that monitor thus ignoring outside signals and eliminating interference. WiSight technology works on vehicles 60+ feet in length, a significantly longer distance than wireless analog systems. With the WiSight technology locked in you will receive a sharper, more vivid picture of the vehicle’s surroundings on the 5.6” color LCD monitor. A suction cup windshield mount and 12-volt DC power plug for the monitor make this system easily portable among towing vehicles. The camera is powered by connecting to the taillights or running lights. 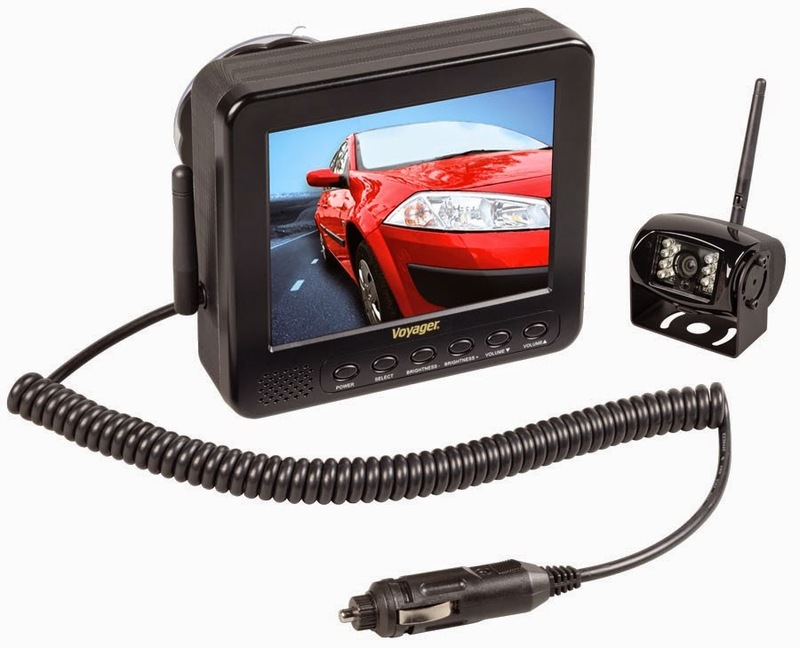 Package includes a 5.6 LCD color monitor with integrated receiver, one 12-volt accessory plug, a suction cup monitor mount, one rear color camera with integrated transmitter, stainless steel hardware and non-corrosive camera mounting bracket.